On the coat-tails of a the blockbuster film “The Imitation Game” I saw quite a bit of buzz on the internet about Alan Turing, and the Turing Test. The title of the movie refers to the idea of the Turing Test may someday show that machines would ostensibly be (at least in controlled circumstances) indistinguishable from humans. Vernor Vinge is a mathematician and science fiction author who is well known for many Hugo Award-winning novels and novellas* and his 1993 essay “The Coming Technological Singularity”, in which he argues that the creation of superhuman artificial intelligence will mark the point at which “the human era will be ended”, such that no current models of reality are sufficient to predict beyond it. Adam Ford: Alan Turing is considered the “Father of Theoretical Computer Science and Artificial Intelligence” – his view about the potential of AI contrasts with much of the skepticism that has subsequently arose. What is at the root of this skepticism? 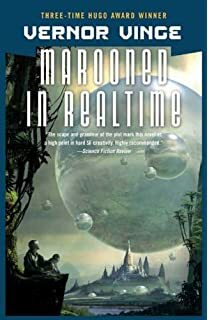 Vernor Vinge: The emotional source of the skepticism is the ineffable feeling that many (most?) people have against the possibility that self-awareness could arise from simple, constructed devices. AF: Many theorists feel that the combined talents of pure machines and humans will always produce more creative and therefore useful output – what are your thoughts? VV: When it comes to intelligence, biology just doesn’t have legs. _However_ in the near term, teams of people plus machines can be much smarter than either — and this is one of the strongest reasons for being optimistic that we can manage the new era safely, and project that safety into the farther future. AF: Is the human brain essentially a computer? VV: Probably yes, but if not the lack can very likely be made up for with machine improvements that we humans can devise. AF: Even AI critics John Searle and Hubert Dreyfus (i.e. “What Computers (Still) Can’t Do”) agree that a brain simulation is possible in theory, though they argue that merely mimicking the functioning brain would in itself be an admission of ignorance (concerning intelligence) – what are your thoughts? VV: The question of whether there is self-awareness behind a mimick may be the most profound issue, but for almost all practical purposes it isn’t relevant: in a few years, I think we will be able to make machines that can run circles around any human mind by all externally measured criteria. So what if no one is really home inside that machine? Offhand, I can think of only one practical import to the answer, but that _is_ something important: If such minds are self-aware in the human sense, then uploads suddenly become very important to us mortality-challenged beings. AF: Do you think Alan Turing’s reasons for believing in the potential of AI are different from your own and other modern day theorists? If so in what ways? VV: My guess is there is not much difference. AF: Has Alan Turing and his work influenced your writing? If it has, how so? VV: I’m not aware of direct influence. As a child, what chiefly influenced me was the science-fiction I was reading! Of course, those folks were often influenced by what was going in science and math and engineering of the time. Alan Turing has had a multitude of incarnations in science fiction… I think that besides being a broadly based math and science genius, Turing created accessible connections between classic philosophical questions and current issues. AF: How do you think Alan Turing would respond to the specific concept of the Technological Singularity as described by you in your paper “The Coming Technological Singularity: How to Survive in the Post-Human Era“? VV: I’d bet that Turing (and many AI pioneers) had extreme ideas about the consequences of superhuman machine intelligence. I’m not sure if Turing and I would agree about the potential for Intelligence Amplification and human/machine group minds. I’d be _very_ interested in his reaction to modern analysis such as surveyed in Bostrom’s recent _Superintelligence_ book. AF: In True Names, agents seek to protect their true identity. The guardian of the Coven’s castle is named ‘Alan Turing’ – what was the reason behind this? It was a tip of the hat in Turing’s direction. By the time I wrote this story I had become quite aware of Alan Turing (contrasting with my childhood ignorance that I mentioned earlier). AF: Your first novella Bookworm Run! was themed around brute forcing simpler-than-human-intelligence to super-intelligence (in it a chimpanzee’s intelligence is amplified). You also explore the area of intelligence amplification in Marooned in Realtime. Do you think it is possible for a Singularity to bootstrap from brute forcing simple cognitive models? If so do you think Super-Intelligence will be achieved through brute-forcing simple algorithms? VV: I view “Intelligence Amplification” (IA) as a finessing of the hardest questions by building on top of what already exists. Thus even UI design lies on the path to the Singularity. One could argue that Intelligence Amplification is the surest way of insuring humanity in the super-intelligence (though some find that a very scary possibility in itself). AF: Is the Turing Test important? If so, why, and how does it’s importance match up to tracking progress in Strong AI? VV: In its general form, I regard the Turing Test as a marvelous, zen-like, bridge between reductionism and the inner feelings most people have about their own self-awareness. Bravo Dr. Turing! AF: Is a text conversation is ever a valid test for intelligence? Is blackbox testing enough for a valid test for intelligence? a) The examining human (child? adult? fixated or afflicted adult? –see Sherry Turkle’s examples of college students who passed a chatbot). b) The duration of the test. c) The number of human examiners participating. d) Restrictions on the examination domain. In _The Emperor’s New Mind_, Penrose has a (mostly negative) critique of the Turing Test. But at the end he says that if the test was very broad, lasting years, and convincing to him (Penrose), then it might be meaningful to talk about a “pass grade”. And he concludes that humans are not reducible to turing machines. Do you agree with Roger’s assessment – Are humans not reducible to turing machines? VV: This argument depends on comparing a mathematical object (the Turing Machine) with whatever kind of object the speaker considers a “human mind” to be. As a logical argument, it leaves me dubious. AF: Are there any existing interpretations of the Turing Test that you favour? VV: I think Penrose’s version (described above) is the most important. AF: You mentioned it has been fun tracking Turing Test contests, what are your thoughts on attempts at passing the Turing Test so far? VV: So far, it seems to me that the philosophically important thresholds are still far away. Fooling certain people, or fooling people for short periods of time seems to have been accomplished. AF: Is there any specific type of intelligence we should be testing machines for? VV: There are intelligence tests that would be very interesting to me, but I rather not call them versions of the Turing Test. For instance, I think we’re already in the territory where more and more [forms->sorts] of superhuman forms of creativity and “intuition” are possible. I think there well also be performance tests for IA and group mind projects. AF: Some argue that testing for ‘machine consciousness’ is more interesting – what are your thoughts? VV: Again, I’d keep this possibility separate from Turing Test issues, though I do think that a being that could swiftly duplicate itself and ramp intellect up or down per resource and latency constraints would have a vastly different view of reality compared to the severe and static time/space/mortality restrictions that we humans live with. AF: The Turing Test seems like a competitive sport. 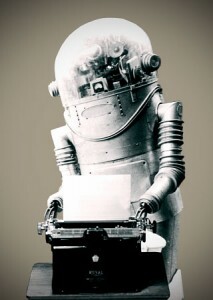 Though some interpretations of the Turing Test have conditions which seem to be quite low. The competitive nature of how the Turing Test is staged seems to me to select for the cheapest and least sophisticated methods to fool judges on a Turing Test panel. AF: Should we be focusing on developing more complex and adaptive Turing style tests (more complex measurement criteria? more complex assessment)? What alternatives to a Turing Test competition (if any) would you suggest to motivate regular testing for machine intelligence? VV: The answers to these questions may grow out of hard engineering necessity more than from the sport metaphor. Going forward, I imagine that different engineering requirements will acquire various tests, but they may look more like classical benchmark tests. AF: Why is tracking progress towards AI important? VV: Up to a point it could be important for the sort of safety reasons Bostrom discusses in _Superintelligence_. Such tracking could also provide some guidance for machine/human/society teams that might have the power to guide events along safe paths. AF: What do you see as the most useful mechanisms for tracking progress towards a) human equivalence in AI, b) a Technological Singularity? – changes in the personal characteristics of the most successful CEOs. Direct tests of automation performance (such as we’ve discussed above) are also important, but as we approach the Singularity, the center of gravity shifts from the programmers to the programs and how the programs are gaming the systems. AF: If you had a tardis and you could bring Alan Turing forward into the 21st century, would he be surprised at progress in AI? What kinds of progress do you think he would be most interested in? VV: I don’t have any special knowledge of Turing, but my guess is he would be pleased — and he would want to _understand_ by becoming a super himself. AF: If and when the Singularity becomes imminent – is it likely that the majority of people will be surprised? VV: A hard takeoff would probably be a surprise to most people. I suspect that a soft takeoff would be widely recognized. AF: What opportunities could we miss if we are not well prepared (This includes opportunities for risk mitigation)? VV: Really, the risk mitigation is the serious issue. Other categories of missed opportunities will probably be quickly fixed by the improving tech. For pure AI, some risk mitigation is the sort of thing MIRI is researching. For pure AI, IA, and group minds, I think risk mitigation involves making use of the human equivalent minds that already exist in great numbers (namely, the human race). If these teams and early enhancements recognized the issues, they can form a bridge across to the more powerful beings to come. AF: You spoke about an AI Hard Takeoff as being potentially very bad – can you elaborate here? VV: A hard takeoff is too fast for normal humans to react and accommodate to. To me, a Hard Takeoff would be more like an explosion than like technological progress. Any failure in mitigation planning is suddenly beyond the ability of normal humans to fix. AF: What stood out for you after reading Nick Bostrom’s book ‘Superintelligence – paths, dangers, strategies’? VV: Yes. I think it’s an excellent discussion especially of the pure AI path to superintelligence. Even people who have no intense interest in these issues would find the first few chapters interesting, as they sketch out the problematic issues of pure AI superintelligence — including some points that may have been missed back in the twentieth century. The book then proceeds to a fascinating analysis of how to cope with these issues. My only difference with the analysis presented is that while pure AI is likely the long term important issue, there could well be a period (especially in the case of a Soft Takeoff) where the IA and groupmind trajectories are crucial. * Hugo award winning novels & novellas include: A Fire Upon the Deep (1992), A Deepness in the Sky (1999), Rainbows End (2006), Fast Times at Fairmont High (2002), and The Cookie Monster (2004), and The Peace War (1984). Also see video interview with Vernor Vinge on the Technological Singularity.